Crisis happens. But there’s a vast difference between “getting through a crisis” and bearing so much pain, indecision, and personal anxiety that the crisis masters you. 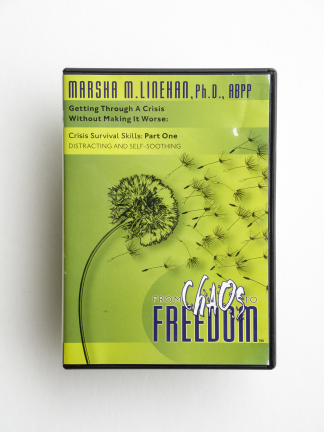 Part Two of the From Chaos to Freedom DVD series provides more practical, tested training that can help one survive personal crises. 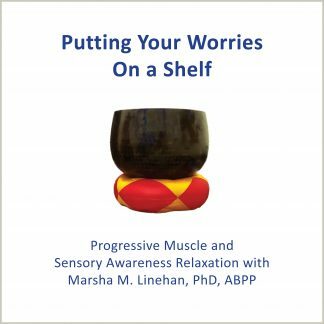 In this video Marsha Linehan, Ph.D., ABPP shows you ways to help control the moment. 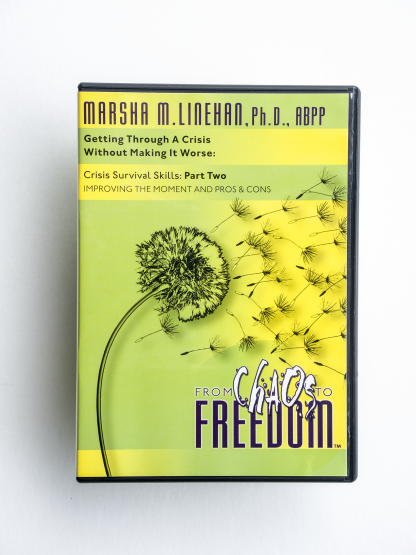 She demonstrates how to use something as simple as a pencil and piece of paper to discover wise insights that protect one from reactions and urges that could hurt instead of help. 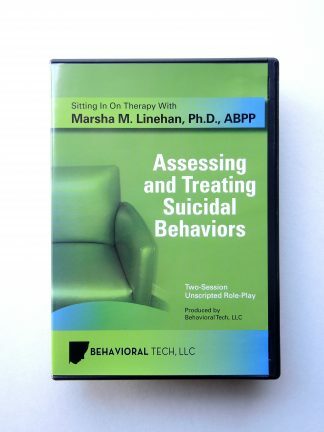 Richly illustrated with story-telling illustrations you’ll recognize as real life, Linehan’s training is personal, powerful, and proven effective in scores of actual crisis events. 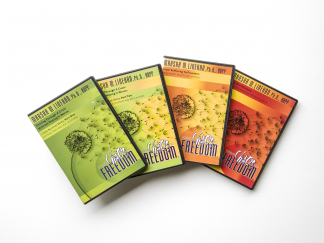 In this video series there’s not only hope, there’s real help.